Everyone wants to achieve that lean, muscular, athletic physique but many people believe that it is not achievable. This is where they couldn’t be any more incorrect. Most people are under the impression that getting a toned muscular body requires a tremendous amount of time and effort, when in truth their diet will be the overwhelming factor in determining whether or not they will lose weight. Choosing the correct meal plan, especially the source of protein can and will have a tremendous impact on how much muscle mass you will put on and the period of time necessary to do so. There are simple ways to ensure that you are seeing the maximum benefits possible via your diet. Determining whether or not a source of food has a good nutrient profile; that it will give us the maximum benefit per calorie is not as simple as looking at the fat content versus the protein. This is an important aspect of nutrition however there are many other factors to consider such as the protein source, the type of fat it has and if it is plant or animal based. Things we usually don’t think of, like what type of food did the source of our protein consume or where it was grown have a huge impact on what benefits we will see from our efforts. In addition to these factors, we must also consider additives to the product like sugars and salts which can alter the nutrient profile of these foods for the worse. One good example of this is the difference in nutrient profiles when looking at organic, grass fed beef versus conventionally grown, corn fed beef. Cows that are fed grass naturally produce the beneficial omega fatty 3 acids that your body not only needs to function but that they also are used to fight chemical imbalances in the brain like those associated with depression and other mental ailments. Conversely, beef that is conventionally fed does not develop nor contain the beneficial omega -3 fatty acids that their grass fed counterparts do. In addition to not having these beneficial fatty acids they instead contain omega-6 fatty acids, which cause a build of plaque in blood vessels which is attributed to heart disease. 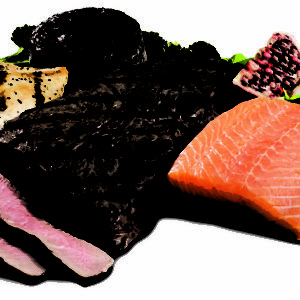 Sourcing is an important aspect to consider as well when it comes to all food choices, especially protein supplements. The ability to provide protein that is relatively cheap yet still maintaining a good nutrient profile are reasons why the industry is so successful and why many people use their products. 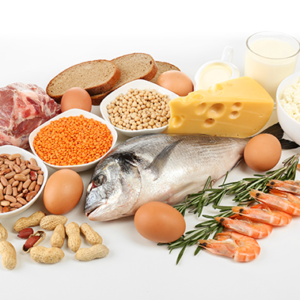 Many people use a protein supplement in place of a meal because of convenience, and this can be incorporated in to a healthy diet if done properly. We can look at one of the biggest selling powdered proteins on the market, whey protein, to demonstrate this. When it comes to any food choice; in this case protein supplements, it is difficult to separate one product from another. This is because virtually every product has a very similar protein to weight ratios which is arguably the number one factor in choosing one product over another. So how do we choose the best product? Knowing where the protein, in this case milk comes from is extremely important. This is because environmental regulations and how the food is regulated varies drastically from country to country, sometimes even within the same country itself. This means that your whey protein which comes from the milk of a cow, from the grass that it eats, could have come from contaminated land. This is why high levels of lead, cadmium and other heavy metals are so prevalent in certain protein powders and drinks. These heavy metals contribute to neurological diseases such as Alzheimer’s disease and others that can be life altering. This is why it is extremely important to know where your food is sourced, potentially consuming some of these chemicals can negatively impact your life permanently.